Nothing says Christmas quite like a big, full, loud, congregational hymn with some added bells and whistles. 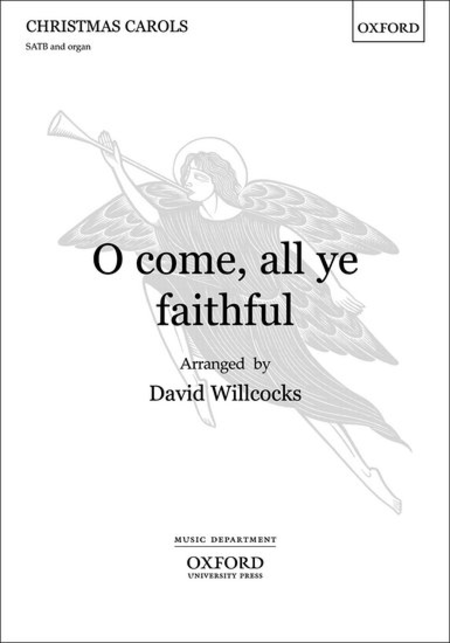 Sir David Willcocks has done a masterful job of expanding this hymn to nearly bursting, while still maintaining dignity and propriety. 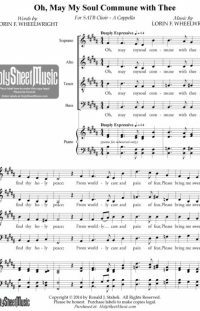 You will need a good organist (and a helper to play the descant) for this arrangement to work. You could hand this arrangement to the ward choir to perform, but I think it’s much more effective to turn your congregation into the choir in this instance. Our green hymnbook version is in the key of G. Willcocks’ arrangement is also in G. That makes it easy to start the hymn out in the normal way, with everyone singing the version they expect. The Willcocks version uses the harmonies from the English Hymnal for verses 1-5 (they have more verses than our green hymnbook does—we only have three). So you could use our green hymnbook harmonies or the Willcocks harmonies for verse one. Then our verse two correlates to Willcocks’ verse six. He changes up some harmonies in the organ (the vocal part is unison) and adds a soprano descant (becoming, effectively, the choirs of angels). Then our verse three comes as Willcocks’ verse seven. Big, unison chords, a unison vocal line, and lots of non-harmonic tones in the organ part—it’s really spectacular. 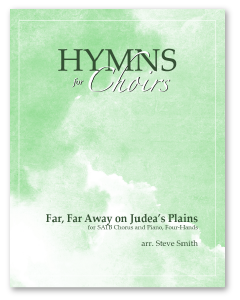 If you forgo using the English Hymnal harmonization for verse one, then you will only need to buy copies for your conductor, your organist, and 2-3 copies for your sopranos to sing the descant. Or you could tell your congregation to sing everything in unison and just buy enough copies for your choir to sing the harmony on the first verse. Or you could have the choir sing the whole thing, seven verses included. Listen to the audio example above. It will convince you.